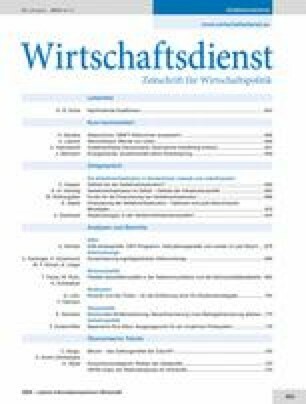 Der Beitrag ist eine erheblich gekürzte und modifizierte Version von A. Winkler: Der Lender of Last Resort vor Gericht, Frankfurt School Working Paper, Nr. 206, 2013, http://www.frankfurt-school.de/clicnetclm/fileDownload.do?goid=000000518072AB4 (4.10.2013). This paper applies the economic argumentation put forth by the OMT’s opponents before the German Federal Constitutional Court [Bundesverfassungsgericht] to the full allotment policy practiced by the ECB since October 2008. The comparison shows that under this line of reasoning, the full allotment policy also contravenes the ECB’s mandate. Ultimately, therefore, the ECB is not in court because of monetary financing, but rather in its role as a lender of last resort. Accordingly, a court decision against the OMT would endorse an economic argumentation which contradicts 150 years of modern central bank history.